A cutie's favorite tiny companion deserves to look darling, too! Imaginative little sprouts will love slipping Dolly into this sweet play suit and matching topper for a look that's ready for an afternoon of frolics through the flowers, make-believe or otherwise. 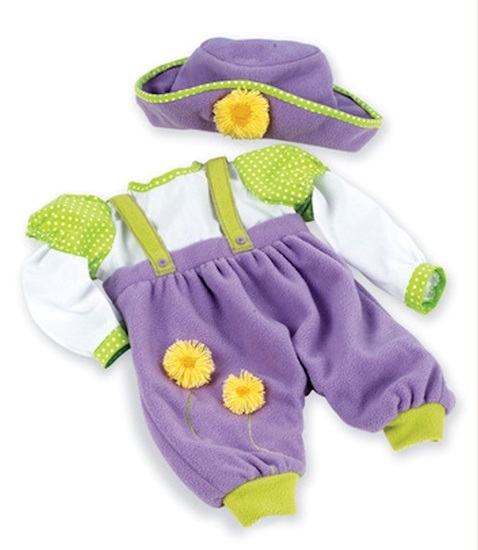 Dainty Daffodils Romper & Hat fits most 19- and 20-inch dolls, including dolls from the Newborn Nursery collection.